Wholesale used vehicle prices (on a mix, mileage, and seasonally adjusted basis) increased significantly again in February. Seasonally adjusted, February’s rise was 3.7%, which came on the heels of a 3.8% increase in January. 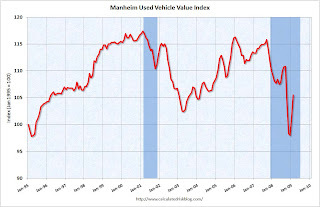 The Manheim Used Vehicle Value Index now stands at 105.5, which represents a year-over-year decline of 2.4%. Some analysts have suggested that the rapid rise in wholesale used vehicle pricing is a precursor to an improvement in new vehicle sales and may even point to a recovery in the overall economy. It’s more likely, however, that the turnaround in wholesale used vehicle values is a necessary, but not a sufficient, condition for a better new vehicle market. That’s especially true given that the recent rise in auction pricing has been driven in large part by supply dynamics that were created by the unprecedented slowdown in new vehicle sales. Buyers switch to used vehicles. Comments from dealers indicate that potential new vehicle buyers are opting instead to buy used. Evidence that these buyers could have actually afforded a new vehicle is provided by the fact that many of today’s used vehicle customers are making significant downpayments and the shorter loan maturity (relative to new vehicles) means that the monthly payment on their used vehicle loan would often be enough to buy new. 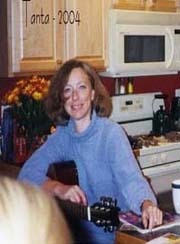 Click on table for larger image in new window. This index from Manheim Consulting is based on all completed sales transactions at Manheim’s U.S. auctions (A sample size of over five million transactions annually). As noted above, buyers have switched from new to used cars - pushing up the prices of used cars. This is a probably a necessary step to higher new car sales. Also according to Manheim, February’s sales rate new vehicles was only 9.1 million units (SAAR). That would be the lowest rate since early 1967!